Breitbart editor Joel Pollack compared embattled Senate candidate Roy Moore's repeated attempts to date teenage girls to the lyrics in a Ringo Starr song. Breitbart News has been one of Moore's chief defenders. A Breitbart News editor attempted to use a Ringo Starr song to dismiss allegations that Alabama GOP Senate candidate Roy Moore engaged in sexual misconduct with underage and teenage women. 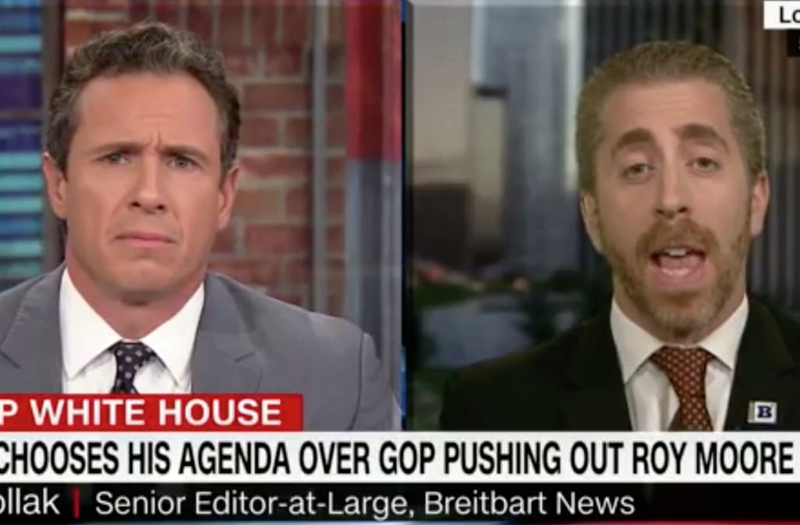 In an interview on CNN's "New Day" on Monday, Breitbart News editor Joel Pollak pointed out that in the 1970's, Ringo Starr released a cover of "You're Sixteen (You're Beautiful, You're Mine)," a cover of a song that had appeared earlier that year in the popular film "American Graffiti." Pollak compared Moore's behavior to lyrics in Starr's song. "He was 30-something at the time singing about a 16-year-old," Pollak said. "You want to take away Ringo Starr's achievement?" "You can't be serious," Cuomo said. "I'm dead serious. You think that Ringo Starr's song is supposed to be a nod toward allowing 30-year-olds to prey on teenagers? You don't believe that, Joel." Pollak has often been an unofficial spokesperson for Breitbart News' defense of Moore. Earlier this month, the Breitbart News editor said The Washington Post should not have published several accounts of Moore's relationships with teenage women because the 16-year-olds could technically consent. "The 16-year-old and the 18-year-old have no business in that story because those women of legal age of consent," Pollak said.